Food free from pests, hair, and Salmonella is basically the minimum we ask from chefs and back of house staff. Sometimes, the culprit is a wayward hair or an opportunistic fly. While these are certainly off-putting to patrons and might call for a comped meal (or even more than that), these incidents aren’t likely to cause detrimental physical harm or illness. But, on occasion, the infiltrator is invisible and infinitely more sinister. Outbreaks of foodborne illnesses such as E. coli, norovirus, and Salmonella affect millions of American citizens each year. The Center for Disease Control and Prevention estimates that roughly 1 in 6 Americans become ill due to a foodborne illness. These outbreaks can and do get serious. On average, 128,000 people are hospitalized each year and about 3,000 of these people will die because of foodborne viruses. It's important for all restaurant owners, workers, and managers to understand the causes and repercussions of foodborne illnesses. 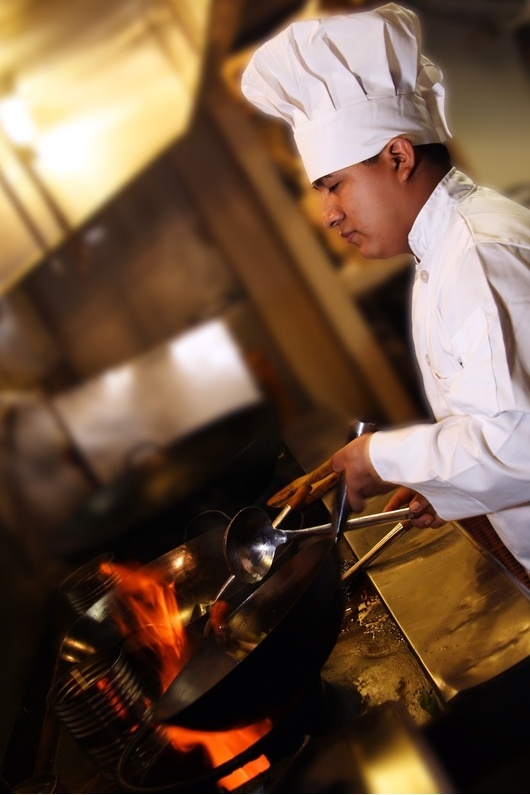 Restaurant sanitation is key when it comes to keeping your food safe and your guests healthy. What Do We Want? Food Sanitation! When Do We Want It? Now! While that was the lamest heading ever, it’s true; I do want better food safety, and you should, too! 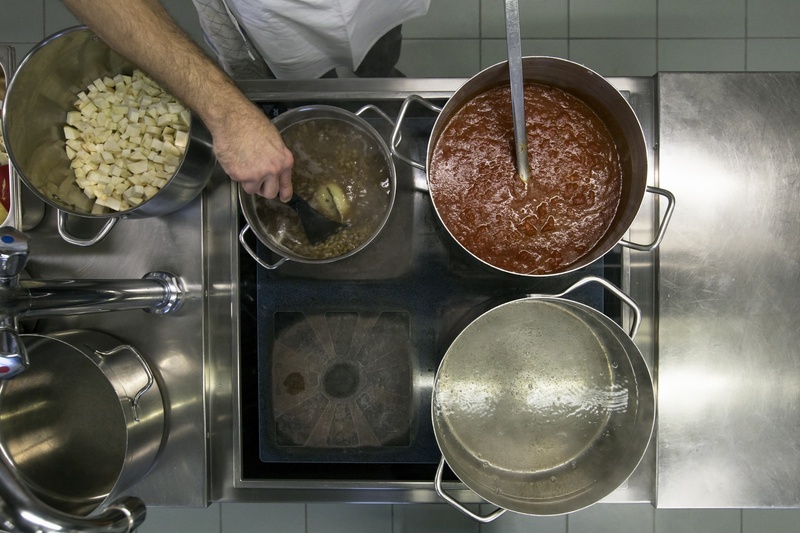 Food safety and restaurant sanitation can be seriously over-neglected. After all, foodborne illnesses are preventable. The food sanitation process exists to prevent people from harm. Everyone in the supply chain - from the supplier to the chef - has a part to play in this process. 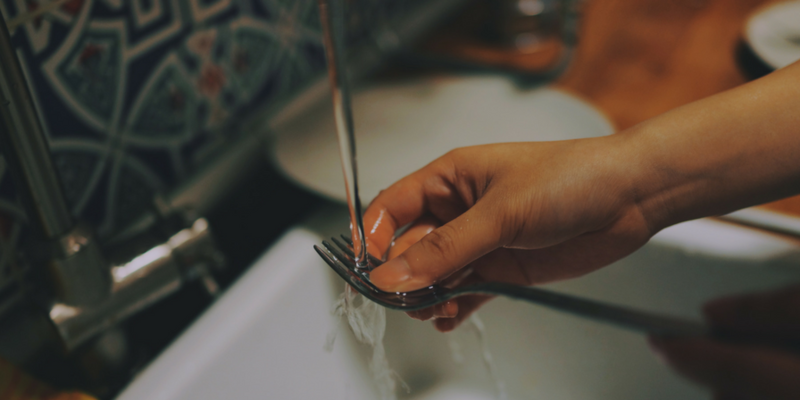 Forgetting just one step like handwashing or not swapping cutting boards can lead to illness, hospitalization, and in the most severe cases, death. The restaurant food sanitation process does have protocols to keep us safe. They aren’t hard to remember or perform properly. Food handlers need to have the proper knowledge about food safety. They need to know when something is cooked and when it isn’t suitable for consumption. They must have proper personal hygiene. They’ve got to keep all food equipment, preparatory surfaces, and utensils clean. They need to store food at the right temperature and in the right place and make sure these systems are maintained and recorded. We can all do this. It’s not hard, and a lot of these things are skills we learn as a child from our parents or as a young adult learning to cook for the first time. A few restaurants have made headlines for their poor handling of food, which has gone on to cause illness in a few unfortunate individuals. While the specific instance can usually be traced to one employee, these cases serve as a rude awakening to restaurant owners and managers to check their processes of safety and ensure their employees are following those procedures. Here are 3 of the most infamous recent foodborne illness problems the U.S. has seen, as well as some takeaways for you to keep your restaurant safe and your patrons healthy. Back in 2015, multiple outbreaks of E. coli, norovirus, and Salmonella plagued Chipotle restaurants across 11 different states in America. Chipotle got oodles of bad media attention. In the eyes of the public, Chipotle seemed to respond with desperately clever marketing attempts instead of actually investigating the matter. Even after Chipotle closed every single one of its stores and scrubbed everything clean, something didn’t feel quite right. Media outlets questioned Chipotle's actions, as anything that could have been useful for laboratories was removed. Some suggest that Chipotle’s decision to close all restaurants and bleach them clean was an attempt to cover up the terrible state of food safety in Chipotle stores. On February 1st, 2016, the FDA announced that the outbreak appeared to be over, but their stocks and profits have suffered. Ever since these problems occurred, Chipotle has started working to prevent any similar issue in the future. They announced a paid sick-leave policy to ensure employees stay away from work when ill, they’ve made all staff undertake extensive food safety training, and they’ve made modifications to numerous food preparation methods including how they marinate raw meat. The crisis of foodborne infection last year served as a reminder that some restaurants - no matter how large - can be susceptible to food safety problems. What's even more sad is that the problem Chipotle brought awareness to isn’t anything new. Taco Bell has come under investigation by the Centers for Disease Control several times since 1995 for a series of foodborne illnesses. This chain has a hazy history of food safety and has had multiple outbreaks of salmonella, E. coli, and even hepatitis A. In 1995, an outbreak of hepatitis A in Utah was linked to an infected employee. In 1999, 21 people (many of whom were children) were infected with E. coli in 4 different states after eating beef tacos supplied by a farmer with a dodgy record. In 2000, their second hepatitis health scare began when uncooked green onions were linked to 30 reports of hepatitis A. In 2006, an E. coli outbreak linked to lettuce caused 78 cases of E. coli poisoning where 55 people were hospitalized. In 2010, two types of Salmonella epidemics occurred in multiple states at the same time. 155 people became ill, and 42 people were hospitalized. In 2011, it was a multi-state outbreak of Salmonella Enteritidis that caused illness in 68 people in 10 states. Since 1999, 343 people in the U.S have become ill after eating food at Taco Bell linked to foodborne illnesses, but there have been no major issues since 2011. Let's hope Taco Bell's winning streak continues. Back in 1993, one of the worst and most tragic cases of an E. coli outbreak hit the U.S. After eating undercooked burgers infected with a strand of E. coli at a Jack in the Box restaurant, 732 people got E. coli, and four children died. E. coli is devastating for children, and in this instance, the majority of victims were children under the age of ten. 178 child victims were left with permanent kidney and brain damage. To better understand this issue, let's take a look at the story of Darin Detwiler. Detwiler is a campaigner for food safety at Stop Foodborne Illness. He became an active campaigner after losing his two-year-old son to E. coli poisoning in the 1993 Jack in the Box E. coli outbreak. In 1992, Darin had just returned to Washington State to be with his then-wife, 9-year-old stepson, and toddler son Riley after leaving the Navy. Shortly after returning to the area, Darin heard alarming reports about an E. coli outbreak in the Seattle area, but he thought it would be enough to avoid eating at that fast food chain. Darin didn’t know E. coli could be spread through person to person contact. One day, when he was picking Riley up from daycare, he saw a health department notice asking parents to be on the lookout for signs of foodborne illness in their children. Health care officials were worried about a sick child who was at Riley’s daycare center. The child’s parents worked at a local Jack in the Box, and the child and his mother became ill after eating burgers from the store she worked in. Suspecting that she and her son had E. coli poisoning, she rushed him to hospital but had to wait 48 hours for the results. The next day, they sent their child to daycare without telling the staff about his illness fearing that he would be sent home. Later, staff became concerned because of his diarrhea. That child was left to interact with the other children for two days. When the tests came back, this child did test positive, and health officials warned that other children could have become infected through direct contact or contaminated surfaces. Obviously, Darin was terrified. He had no idea that E. coli could spread this way. And, then, his worst fears came true. His son began showing symptoms. The next morning Detwiler and his wife rushed Riley to the hospital. The worst news hit. Riley was infected with the strain of E. coli linked to the Jack in the Box outbreak. After spending seven days in a small hospital, Riley was airlifted to Seattle’s Children’s Hospital and was put under observation; soon he was put on an IV drip and then, he was transferred to the Pediatric ICU. Things became increasingly serious, but Darin never lost hope that he would be carrying his child out through the hospital doors. In the Intensive Care Unit, Riley fell in and out of consciousness. His distress was tangible. The next day, he underwent exploratory surgery where the surgeons removed a large part of his colon and put him into a medically-induced coma. For a while, there was local news coverage with brief national attention. But far too soon, the story slipped out of public consciousness, and the public forgot. Meanwhile, as the public carried on and treated the outbreak as over, cases of secondary infections were increasing in the local area. It was predicted by doctors that a second wave of mostly children victims would begin to outweigh those who had actually eaten the tainted meat. Darin’s anger grew as his son’s condition worsened. It seemed like the nation had turned their backs on him as every day his son’s condition worsened. Riley’s body was being emaciated by a kidney disease associated with the worst cases of E. coli. This would lead to Riley’s eventual kidney failure. 23 days after becoming infected, Riley died from massive brain hemorrhaging and multiple organ failures. This was a devastating blow; Darin had lost his son, and the nation did not care. The nation considered the disaster over. It wasn’t just Riley who died either; 3 other children died from this tragedy: 6-year-old Lauren Beth Rudolph and 2-year-olds Michael Nole and Celina Shribbs. The food sanitation process is in place to prevent outbreaks such of these and to protect vulnerable people who deserve safe food as a bare minimum. Hopefully, these examples of restaurants that let seemingly minor things go over their head will inspire restaurant owners to take every precaution necessary to achieve safety for their food, their staff, and their customers. While all three of these restaurants were able to recover from their issues, some of the victims of these tragedies were not. You can avoid these kinds of issues if you take control of sanitary protocols and put in systems to properly manage your restaurant. Be safe and smart!